I&apos;ve been trying to do a painting for a couple days that is just not happening right now. Seems when I try too hard and set expectations for myself, it just doesn&apos;t happen! So instead of trying it for the fourth time……..
And I kinda love it. I played with some different colors than I&apos;ve been playing with lately. This painting has Daniel Smith Cobalt Blue, Perylene Violet, Olive Green, and Quinacridone Gold. Cut loose and see what you can do! And in case you don&apos;t have the song in your head yet….. I LOVE your work! 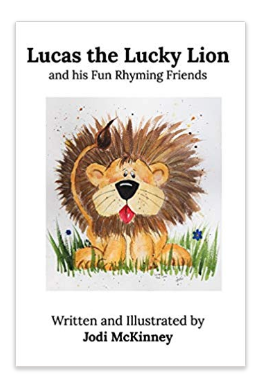 Do you think that you would ever consider doing some illustrations for two children’s books I’ve written? 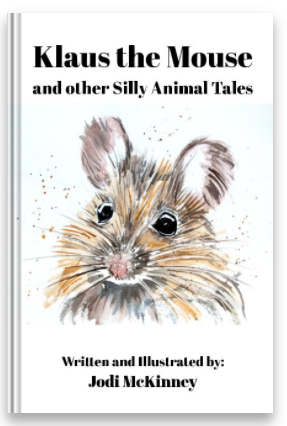 I am working with some self-publishing folks and your style of animal paintings would be perfect for one of my rhyming books. Think about it and let me know when you can. Thanks so much Jane. Is this Jane Luluopolis? Love it Jodi! Such a fun painting! Thanks so much for listing the colors! Beautiful painting, Jodi and it sure was abstract. Loved the poem too so nice and cute. It is stunning wow! Not bad for just cutting loose and seeing where it takes you. Its gorgeous, full of movement and vibrance. Very good point Colin. I find that with my writing also. Very pretty Jodi! Lovely painting! So full of life- beautiful! Cutting loose is your style, Jodi! Love it! Thanks so much and happy dancing!!! 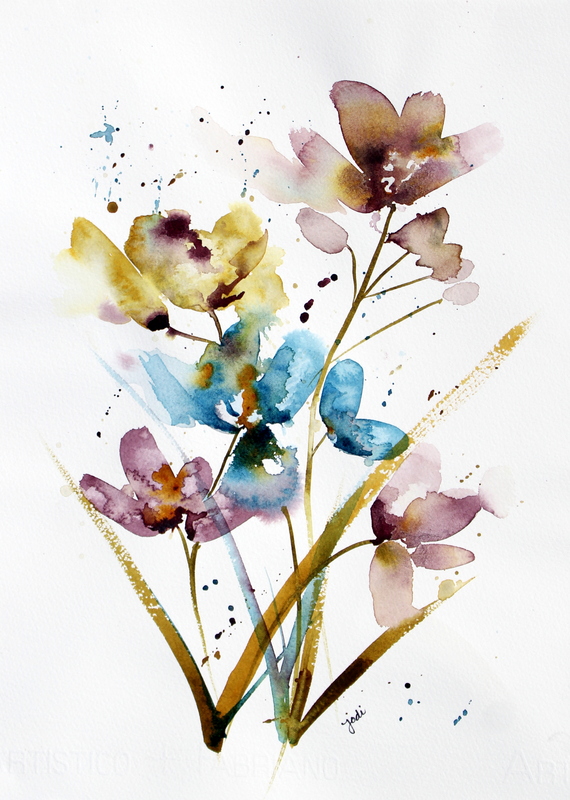 This watercolor is stupendous, you should make a habit of cutting loose from time to time! The colors are so pleasing to the eye, very earthy. “Footloose” – now that was quite the movie, way back when! Thank-you for sharing your beautiful painting. P.S. Did you miss Benjamin and me? Hi Ellen! I did miss you!!! Benjamin and I went with my oldest daughter (his Auntie Heidi) to Ogunquit, Maine. Benjamin’s Mommy was away for 4 days, so we vacationed too. I LOVE Maine!! Simply woderful, it feels like the flowers are dancing. Strange how the correlations of things come together. I know – right? I tried the one painting four times – then another three – trashed them all – gave up – and then said – just go with what you are feeling- and this happened! I love it! I love all your paintings!